Governance is one of the most challenging and complex issues in the non-profit sector. It is typically regarded as something that boards do, and problems with governance are usually understood as problems with board performance. 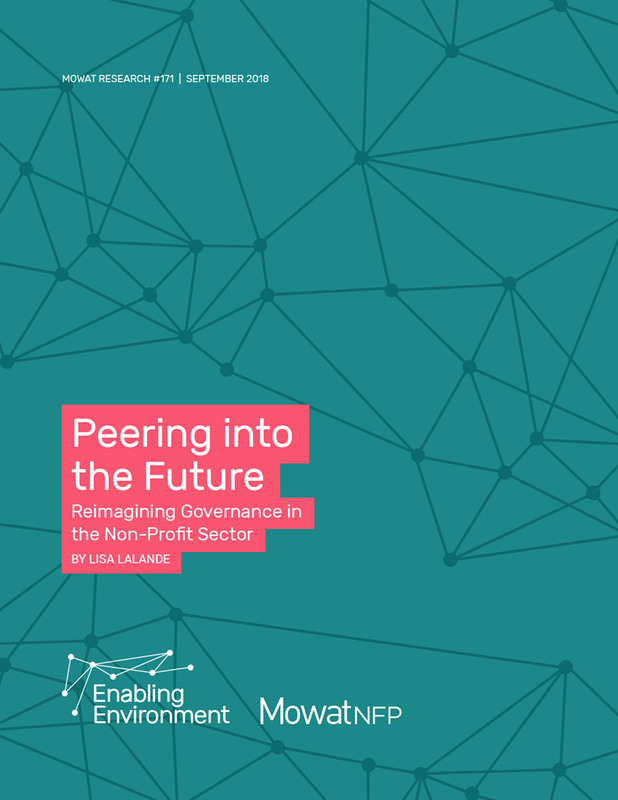 Peering into the Future, a new report from Mowat NFP’s Enabling Environment series, argues that focusing on the board as the only mechanism of governance may no longer be sufficient for an increasingly complex environment. A growing literature suggests that new, transformative and adaptive approaches to governance are needed to ensure better responsiveness to social issues, system-wide impact and adaptability to the changing environment. This thinking envisions governance as more collaborative – a function that can be shared and not limited to the board. This paper explores the current state of governance in the sector and identifies emerging trends and challenges affecting governance. It provides actionable recommendations to improve the sector’s capacity for “future-oriented governance”. This paper will serve as a foundational research document for a collaborative sector-led initiative, Reimagining Governance. Based on findings from a series of research papers and contributions from thought-leaders, the initiative will provide ideas and strategies to help non-profit management and boards govern their organizations differently.